Just to let you know- the cruise was fab!! Our family had a GREAT time and thank you for everything. We were looking forward to the cruise for many months prior to sailing and when we entered the pier for embarkation it felt like it was going to be a good one. You did not disappoint! We were in awe of the sail away party and this certainly starts it off in a wonderful way. The cruise was one we will never forget. We met lots of new friends and by the end of the cruise they were all wishing they lived in Cincinnati. We did close the dance floor down almost every night. I can't begin to thank you and your staff enough for the outstanding job you did to make our cruise so special. We all had a wonderful time. There were 10 of us together all of which enjoyed every second of it. This was a first time cruise for some of us and all I can say is that everything went just perfect. The staff is efficient, courteous, accommodating and very professional. You must be very proud to provide such a successful event. Needless to say, you run a first class operation with a first class staff. Thank you so much. Count us in for 2017. You do a beautiful professional job with all of your cruises. God Bless You. The cruise was even better than you described it. Thank you for making our 25th anniversary really very special. You are very efficient and through in the service which you give your customers. Joan and I were in the travel business and are aware of customer service. You win hands down in that department. You are an amazing person to put on such a successful cruise and we believe that all the arrangements come directly from yourself. Congratulations on a job very well done. Dear Gertrude, What a wonderful cruise we just had! We cannot thank you enough for all the extra effort you went to in order to assure that everyone had a good time. From the delicious tasting food, friendly and attentive service to the memorable entertainment…..this cruise had it all. You are a true professional and wish you continued success. Gertie, just a brief note to say " Thank - You " again, for a wonderful, excellent cruise a couple of weeks ago. This was Barbara and Phil's first " Gertie Byrne's experience " and they could not have enjoyed themselves more. Again " Thank-You " to you and your A-1 team and we look forward to the next one. I will remember Gertrude Byrne’s All Star Irish Cruise as been the most magical vacation ever. The hospitality was exceptional, we felt like relatives rather than customers. The mealtime banter was like being with friends rather than stranger’s, the sailing was beautiful, as was the scenery. I didn’t think about work once on the trip, and at the end of it I was thoroughly relaxed. I don’t know that I have ever had such an all-around perfect vacation. We were so extremely well taken care of from the minute we arrived at the Pier, we didn’t have to think about a thing or make a decision. It was a completely stress-free vacation. The food was absolutely delicious and we had great accommodations. The entertainment that we experience in the seven days onboard was more than anyone would experience in a lifetime in normal life. I think the price we paid was for nothing in comparison to what we received. I think we are spoiled for any other type of vacation. Well done Gertrude we appreciate all you have done for us. This was the best vacation of my life (and I haven’t been the least bit deprived!). It was an amazing experience! Friends of ours had talked us into going. Now we are kicking ourselves that had not done it sooner. It is something that everyone that can should experience. Every aspect of your cruise was absolutely first rate; the ship itself, the friendly crew, the superb food and the choice of ports. The entertainment was out of this world. We can’t recommend the experience highly enough and are very keen to do it again. We want to thank you for all you did to make this a 'trip of a lifetime' experience for us. We can't stop talking about all of our fun times and entertainment, cocktail parties arranged by you, our friends have called us twice since arriving home and are absolutely thrilled with the whole experience. A simple thank you does not seem like enough! Everything about the cruise was perfect! I do miss our wonderful 'pillow presents' and all the great fun up on the Lido Deck. We have wonderful memories of a very special cruise and we cannot wait to come back. Thank you for the most wonderful cruise we have ever been on! Never have we ever experienced such personal service, attention, friendliness, fun, humor, attention to detail, consideration, I can go on forever. The entertainment made the "trip" become the "experience". They all deserve a standing ovation, and should know that NEVER will I ever have such a rewarding, pleasurable vacation that comes close to the journey we shared. Gertrude Byrne your professionalism has made this cruise one we will always remember. Thank you over and over again. On behalf of all of us at Club, I would like to take this opportunity to thank you for putting on such an awesome cruise. The entire week was most enjoyable. The atmosphere was awesome and the other guests were delightful. The food was delicious and the service was excellent. No words can describe the entertainment, all we could say is that it was like a dream. Everyone was very impressed with the entire cruise and we look forward to your next cruise. Just to say a great big thank you for all the preparations that were done to ensure everyone was catered for with plenty of activities, shows and fun. Although I have been on a few other cruises “A Gertrude Byrne Cruise” is the full package deal with so much fantastic entertainment. Yours certainly has the X FACTOR APPEAL. It made me so proud to be Irish with lots of American influence too. Many of my Mother’s family immigrated to the United States. We had a wonderful Caribbean cruise in fact you can put my name down for the 2016 cruise which starts in Barcelona. Thanks again for a wonderful holiday. I'm not sure it could have been better - probably the nicest, well-rounded vacation I've ever had - everything about it exceeded expectations. This is a cruise for anyone-all age groups find things to enjoy. We had a few three generation families on our Cruise and all enjoyed it." People use terms like the trip of a lifetime casually, but this truly was such a trip. I was particularly struck by how truly happy all the guests seemed. This may sound silly, but in the hustle and bustle of our lives, I see lots of successful people, but it is rare to see people who are truly so happy. It gave me a lot to think about. I have been recommending this cruise like crazy; I can’t think of anything possible that could have been done to make the trip more wonderful for us. Kudos to you Gertrude Byrne. Again the Cruise was so great that it seems like a dream. This is my fifth cruise with you and waiting a year for the next one is going to be really tough. It was one of the peak experiences of our life. As usual it was a major success. We met up again with old friends from previous cruises and had a blast. We enjoyed every aspect of the cruise from the beautiful morning Mass to the late night Piano Bar and everything in between. It is great to see all the musicians get together and the comradery they have going on and the interaction among the guests. Gertrude you do a great job and look forward to being with you in August 2016 to the Mediterranean. It is one of the few experiences that actually deliver as advertised. I want to thank you for our recent cruise. It was fascinating. I could go on and on about the trip. Your attention to detail was excellent, and I really appreciated that. We are all in agreement that it surpassed our expectations. It was a lovely experience and one that we will not forget. The entertainment was amazing to say the least and we thoroughly enjoyed all of it. Thank you for all of your hard work you did a great job and we all had a fabulous time! To be on it one more week would have been great. We just completed the Irish cruise and wanted to say thank you........we've been cruising for over 40 years and that one has to be on the top of our list!! The entertainment was superb, and I guess you could say we are now followers. If I had to sum up my cruise aboard the ms Westerdam - in a single word - it would have to be "joy." It's difficult to put in to words how marvelous the time was we spent aboard Gertrude Byrne’s All Star Irish Charter Cruise. Ever since I returned home, I've wanted to go back. It’s such a testament to her that everyone we met onboard felt the same way. Not only do the guests have the height of respect for her bit it is obvious that the entertainers feel the same way. Between the ambiance of the 5-star luxury experience coupled with the magnificent entertainment, it is impossible to be anything but the happiest any person could be. Wonderful just wonderful! Thank you again for another great cruise. We had a wonderful time and it is better that they are getting. You are to be greatly admired for your consistency in continuing to provide the cruise of a lifetime. It is something that we now look forward to year after year. There is no other cruise out there than can be compared to a Gertrude Byrne Cruise. Everything is so well planned and thanks for all your work in making us all feel special. Well done! Back home in New Jersey after a fantastic week on the ms Westerdam with Gertrude Byrne Promotions. Always great to meet old and new friends. The highlight of the week was that I had the honor and privilege to dance with Ireland’s own Daniel O’Donnell on the main stage. See you in the Med Cruise August 2016. Thank you Gertrude for an amazing cruise! It was a wonderful experience from start to finish! The entertainment was out of this world. While we thought that each day could not be more enjoyable, the next one topped it. How proud we all were of the incredible talent that you provided for our enjoyment. They were true professionals! The food was delectable, the drinks were exquisite, and the service was professional. We enjoyed our fellow passengers and had many pleasant conversations with them up on the Lido Deck. We applaud you for putting together such a beautiful cruise and hope to sail with you again in the near future. We just wanted to say thank-you so much for a vacation of a life-time. It truly was magic from start to finish. We were completely blown away by everything from the top class entertainment, the wonderful people we met, the variety of daily activities, the delicious food & amazing service, the ship, the professional & friendly staff, topped by the “Grand Finale” show – I cried when we got back from this show to our suite as it trumped all expectations !! The cruise was top class in every way - we will definitely be joining you on this trip again. Thank you Gertie for a fantastic cruise looking forward to many more. This is our first Gertrude Byrne cruise. We have sailed on 17 cruises prior to this one. I felt the need to say how grateful we are for the time you invested into making this the best cruise one could possibly imagine. It was an entire week of bliss. The food was delicious and the service was excellent. We would especially like to recognize the fabulous entertainment program. Each night was a show stopper. We never experience such an array of talent and professionalism. There are just no words to describe the pleasure that we felt watching the shows each evening. My goodness these entertainers are a credit to their profession and to their country. We can’t wait to come back with our friends. We were a small group who had heard about the Gertrude Byrne cruise a few years ago. We got together last year and decided to give it a try. My goodness! This was the best decision we have ever made when it comes to cruising. Every day brought new wonders on what we would consider a very carefully planned trip - such quality organization and a truly unforgettable experience. The entertainment was fascinating and such variety. There were songs we heard that brought back lots of memories from parents and grandparents. What joy it brought! Everyone was friendly and we had lots of fun with other passengers who came from around the world and who seemed to have led interesting and varied lives. The food, service and accommodations were top notch. Thank you so much Gertrude Byrne, we have not stopped recommending it. Because of all your arrangements, it was a splendid trip-a delightful time had by one and all. ...... Thank you for the lovely cruise and the wonderful entertainment. It was a wonderful week on the ms Westerdam for the Gertrude Byrne All Star Irish Charter Cruise. The party started at the embarkation area at the pier – champagne reception, music, lots of talking and laughing and everyone geared up to go onboard. Right after the life boat drill we all headed up to the Lido deck for the sail away party with the supremely talented Tommy Flynn. It was like a giant house party! Everyone was in high spirits as we set sail out of Fort Lauderdale. Since this was my first experience with Gertrude’s product I did not know what to expect. After the sail away we went for a beautiful dinner followed by an amazing show. This was our first evening and thought that how could it get any better. Well it did and each day thereafter was extraordinary. We had the most amazing week and thoroughly enjoyed every second of it. All I can say to those of you who have not been on one of GERTRUDE’S cruises – don’t hesitate-go for it, you won’t be sorry. Our cruise was more amazing than my expectations! Just fabulous! We cannot say enough about our experience. We want to express our heart-felt appreciation to Gertrude Byrne, the Holland America crew and staff for making our recent cruise the vacation of a lifetime. There were plenty of highlights: the entertainment, accommodations, food and great ports of call, the– great weather, even! But what really made it truly special was the enthusiasm, genuine warmth, and caring attitude guests and of the entertainers. We love cruising – but this cruise went above and beyond!" Thank you ever so much for the best cruise we have ever done. Everything was wonderful and I'd recommend Holland America to anyone and most of all your company. You did a great job for us! John and I would like to say a heartfelt thank you for putting on another wonderful cruise…it keeps getting better and better…Can’t wait for the Med 2016. Well, We’re back home after spending some time in Florida after the cruise. I wanted to take a minute and THANK YOU FOR EVERYTHING! Our cruise with you was pretty spectacular and I know it is so due to your attention to detail and your professional attitude. You come highly recommended to others and deservingly so! The service was first class all the way and it was everything we expected and more. Your choice in entertainment was first class and we enjoyed all of it. The food was superb and we had a great table. The atmosphere all around the ship speaks for itself. Great people, great times, we will be back. Just a quick note to say what a wonderful experience your Irish Cruise was. We have cruised many times but have never had so much fun. My daughter and I had a wonderful time on the cruise. Our trip was fantastic. We absolutely loved the Superior Verandah Suite. We had beautiful views and the location of the cabin was so convenient. Food was great, staff very friendly and the entertainment……no words could describe the amazing shows and we got to enjoy a different show each night. I would have to say that the entertainment was the highlight of the week for us. We were so touched by some of the songs and the atmosphere in the theatre was magic. I would dare to say everyone felt as we did. Thank you for taking such good care of us. Thank you so much for another fabulous cruise. It has been a couple of years since we sailed with you and delighted that you have maintained your high standards and in our opinion better it is getting! We had a ball from start to finish. Everything was fantastic! Thank you also for all the wonderful things you do to make your guests happy. We had a fun table and we made some fun new friends. Can’t wait to go again! I just wanted to compliment you for organizing such a fantastic Irish cruise. We were celebrating our 54th wedding anniversary and the no-hassle cruise was a wonderful way to do it. As long term Daniel O'Donnell fans, we enjoyed the close personal interaction. Thanks for a great time! Dear Gertrude, We just came back from your cruise. We thoroughly enjoyed it and would like you to know that we so greatly appreciate the organization you have no doubt put into it. We had a terrific experience and enjoyed every aspect of it. We especially enjoyed the fantastic entertainment. Not only were the entertainers extremely talented, they were also very friendly and courteous. The food and service was superb as were the staff. The cocktail parties are so enjoyable and we felt so well taken care of that this is a rarity these days. Gertrude you really know how to keep your guests happy and we wish you continued success with you cruises. Looking forward to meeting you again and I have no doubt but you will remember our names as this seems like a special gift you have. I had to take a moment to thank you for an incredible cruise! I can’t remember the last time we had so much fun. You make a lot of people very happy. We hope to join you again in the future. I wanted to let you know how much we enjoyed your cruise. This is our 5th cruise with you and I don’t know how you do it but each year just keeps getting better. You are true to your beliefs in leaving no stones unturned to make our week with you the best it can possible be. .....Everything was wonderful--the staff was friendly and extremely accommodating, the food was delicious, and the ship was beautiful. Everyone around us felt as we did, grateful for being onboard and enjoying everything that you offer. Thank you Gertrude and we can’t wait to return yet for another year. I don’t even know how to describe the enjoyment of this last cruise. My friends and I decided to celebrate my birthday on the Gertrude Byrne’s Irish cruise this year. All I have to say was that everything was perfect! The service was wonderful and so was the food. The musicians and cruisers that we met were absolutely wonderful. My most gracious thanks for an experience I will always treasure and hold dear to my heart. WOW.” We can’t wait to go again. I would highly recommend this cruise. Without a doubt Gertie’s cruise is the one to go on it is first class all the way. All we can say is 'WOW!' We have taken other Irish theme cruises, but never have we had an experience like the Gertrude Byrne All Star Irish Charter cruise. What a time we had and we cannot stop talking about the friendliness of the other guests. The willingness of the staff to please and there are no words to describe the entertainment that you provided. From beautiful Mass each morning to the magnificent evening and dancing till the wee hours! We loved every minute of your cruise and cannot wait for the Mediterranean in 2016. What a week! Thank you, thank you! This was a truly a cruise of a lifetime. We have been on many cruises but your cruise was extraordinary. We heard about it from friends who have travelled with you regularly. While they praised it up and down no words could every describe it. Gertrude Byrne you are a credit to Ireland and to yourself. You are an amazing person to be able to put such an event together that gives so much happiness to so many people. It was a magical week for us and we can’t wait for your next cruise. Hi Gertrude Byrne just to let you know we had a lovely time on the cruise it makes Ireland very proud. Just a note to tell you how much our group enjoyed the cruise. Everything was perfect! - And so well planned. Thanks for all your work in coordinating this wonderful experience for us. My family had a marvelous time-and what a great way to make family memories! The entire crew was outstanding and so anxious to please. We all had so much fun in everything we did. Jack had a fabulous time and always remarked how beautifully things were organized. We especially enjoyed the sail away party and the Finale was the highlight of the trip. Hopefully we will be on one of your upcoming cruises in the near future. We want to 'thank you' for a wonderful cruise. We continue to talk about our wonderful trip and especially the entertainment. We rave over how well it went. I can hardly wait until we decide when to go again. It was my very first cruise so I had a lot of special experiences. Everything went like clockwork! We enjoyed it very much! Thank you so much for all the good planning that is a credit to you and your company. Do keep us updated on coming events. I'm writing as a very satisfied guest who recently was on your cruise. We made reservations on the advice of a friend who had previously cruised with you. I had been on other cruises and found them to be actually boring. My friend assured me that this would not be the case with your cruise. How right she was! We had the best time ever! I still cannot get over the unbelievable entertainment that you provided. It was seriously amazing and incredible talent. We went from the show to dancing and onto the Piano Bar. The fun was nonstop. Everyone was so gracious and friendly. We met lots of new friends and are in contact with them. We hope to see you in the Mediterranean in 2016. Our journey from Australia was so worth making for the fabulous time we had on this cruise. It was the best cruise experience we have ever had combining great musicians a friendly atmosphere and a great ship and itinerary. We loved seeing Daniel O’Donnell and Dominic Kirwan who we already knew of but you also exposed us to so many fine artists whose music has not yet made it to our corner of Australia. Thank You. Thank you Gertie!! As usual it was as CLASSY as the lady herself!! We just came back from the All Star Irish Charter cruise put on by Gertrude Byrne. Our thanks for the wonderful week she organized for us. We felt like family the entire time we were there. Everyone around us was so pleasant and the mood was magic. The entertainment was absolutely fantastic and the shows were so entertaining. We would have loved if this was a 14 day cruise as we did not want it to end. Roll on August 2016. Your cruise was recommended to us by a neighbor. We cannot thank them enough for doing so as it was an excellent cruise and we thoroughly enjoyed it. What was there not to enjoy! Everything one could wish for was provided to us. We appreciate your fine services and we were so impressed with the entertainment program. One of those wonderful memories will be the Finale on the last night of the cruise. It was so wonderful and a million thanks for making all this happen for us. It was truly a pleasure to be part of your All Star Irish Charter Cruise. We had a wonderful time and your attention to every detail is amazing and appreciated. Your suggestion of a "round-the-table" setting was a great idea and created closeness I trust will be long lasting. I know it is not easy to seat all 30 of us in one area but you sure accomplished it. We were served in a pleasant and professional manner, which made the entire group feel comfortable...I received nothing but positive feedback from our group. We were just overjoyed with the entertainment and all of the activities that you provided. Everyone is looking doing it again in a couple of years. Thanks again for all the help you provided to make this cruise an enjoyable and successful one for all of us. Thank you for another fantastic cruise, Steve and I are already looking forward to next year. Gertrude, I and all the team would sincerely like to thank you for all your help making our first venture into a cruise of this nature. It was fabulous from start to finish. Our clients are still ‘over the moon’ and raving about it. Many of our clients have already called and want to go again. We just returned from our seventh cruise with Gertrude Byrne. Well, once again the cruise exceeded our expectations. Of course, this can be hard to do, because it always has been the best ever. The cruise was fantastic. Our only complaint is that the week just flies by too quickly. We would like to thank you for making our trip so enjoyable. The service has been wonderful, the staff is very kind and friendly, and the food has been fabulous. You feel welcome from the moment you reach the pier. You have ruined the possibility of our enjoying any other cruise in the future! Many, many thanks again for a memorable experience. See you next year. We all had an amazing time. What a wonderful group of people you bring together, truly the best experience one can encounter. You do an incredible job of providing the most perfect entertainment that is pleasing to everyone regardless of their nationality. Every year it just gets better. All the people you work with seem to do what they do with pride and love. To make a trip like this possible with every one looking so calm and everything always seeming run so smoothly — JUST INCREDIBLE. The work it takes I can’t even imagine! We have met some wonderful real friends on your cruises and look forward to many more to come. My best to you and be well. There was great music and artists on the cruise. It was very hard to drag yourself away to bed. I never tried the dragging bit as I just stayed around and enjoyed it. We want to express our appreciation to you for fabulous Gertrude Byrne Cruise. I am telling you now that I think you are WONDERFUL! You made us feel so welcome with your hand outstretched to meet us upon embarkation. How very thoughtful of you! We had such a good time and enjoyed every aspect of the cruise. The food was terrific with an extensive menu and the service was superb. We were in love with a lot of the entertainers. They were all so good and gave great performances. Thank you again for making this such a wonderful experience. We will see you on your next cruise. We LOVED loved loved our cruise. Food was great and the service was very accommodating. The entertainment was spectacular and extraordinary. We loved our excursions; really amazing and exciting. All in all, the cruise was EXACTLY what I hoped it would be, a memorable time together for my family and for me. Thank you so much for having us being a part of your All Star Irish Cruise. We had a wonderful time, and it’s a week we will never forget. We particularly liked the fun loving people onboard. It seemed like we all knew one another from a previous time and yet we were strangers. However by the end of the week we were friends. There is no way to describe the cruise and give it justice. The entertainment was outstanding and each entertainer brought their own grace to the stage. The food, service and accommodations could not have been better. How often do we go on vacation and come back 100% satisfied….not so much. However this was not the case on this Gertrude Byrne cruise….it was the most enjoyable time we have ever had in our lives. God willing we will be back. Just wanted to tell you how much the entire family enjoyed the cruise. None of the kids or grandkids had ever been on a cruise ship, so the Westerdam was a very special treat. The teenagers soon had the run of the ship. Our suite was fantastic. I'm spoiled-that's the only way to travel. Thank you for suggesting we do that. Everyone loved to hang out there with us, especially the two older grandchildren. Our 6 year old granddaughter love the ship's Kids Club. She would beg to go there first thing in the morning and was reluctant to come out when we went to get her. They really do a good job with the younger kids. We also loved our wonderful dinners, tours and great guides throughout the trip. It was a truly memorable experience! You did a wonderful job for us and we really appreciate all your hard work in putting our cruise together for us. It was a truly once in a lifetime experience! Everyone should take this cruise! We just wanted to thank you wonderful people for making our trip the very best vacation I think we have ever had. From the moment you book your cruise, Gertrude Byrne offers an exceptional level of personal service and that extraordinary service continues on your cruise from start to finish. It was an amazing week and one that unfortunately went by too quickly. Each day was magical from morning to night. Everyone was happy and carefree, the entertainment was out of this world and it was truly 5-star dining. We felt special! If you are thinking of this cruise I have two words for you: DO IT! Thank you so much for the lovely on the cruise on the Westerdam! We thoroughly enjoyed every phase of it and the ship was a lovely size for us. We had so much fun up on the Lido Deck and met some lovely people from different parts of the world. Not knowing exactly what your cruise had to offer I brought my needlepoint with me…..what a laugh that was. There was so much fun things to do needlepoint was certainly not one of them! From beautiful food to beautiful variety shows to dancing and singing we had it all for seven days. 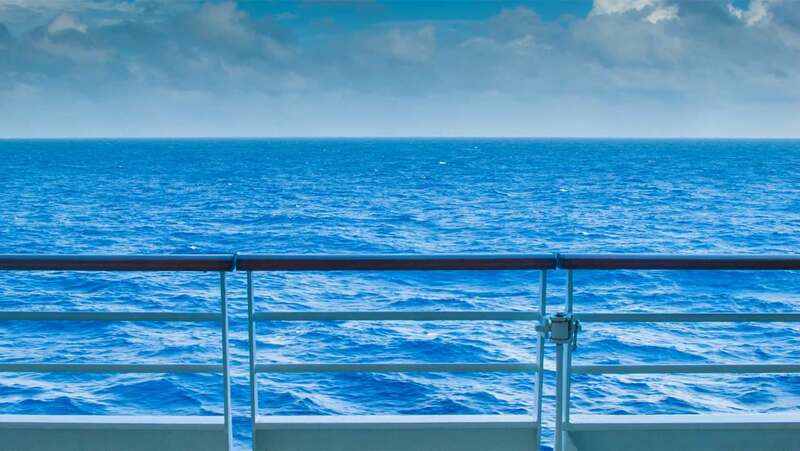 We look forward to your next cruise. The cruise was wonderful and we enjoyed every facet of it. The highlight for me was the entertainment! The food was outstanding, and we are now on a strict diet. We also loved the shore excursions! We met some great people onboard and who are planning on the Mediterranean in 2016. We are also planning to go and hope that we can be seated together for dinner. How awesome is that, people from the opposite sides of the world coming together and becoming friends! Gertrude we appreciate everything you do to make people happy. A great big thank you for all your assistance in making this cruise a memorable one for us. What an event! Gertrude Byrne your cruise was the best holiday that we have ever had! We have been on at least 15 other cruises and none could ever compare. Your cruise offered everything and more, from the wide variety of superstar entertainment to the beautiful food. Also, your dedication to serving your guests is commendable. We will be back and wish you continued success. Thank you for the wonderful job you did in making our cruise a great success! It was such a success that we are planning to have our family reunion in 2017. The entertainment was amazing. We were so impressed with your personal attention to every aspect of the cruise. You sure no how to throw a party, we were so thrilled with your sail away reception and the scrumptious hors d'oeuvres to how festive the Lido Deck looked. Compliments were overflowing about the food and how delicious everything tasted. The staff is to be highly recognized as well, for the tremendous service they provided us. They were tentative to our needs, which certainly added to making our cruise one for us to remember. We just wanted to let you know what a fabulous, fantastic cruise we had! It was better than we could have ever dreamed of! Upon arrival we were greeted by none other than the lady herself, Ms. Gertrude who shook our hands and welcomed us onboard. We were in awe of that! And this was the least of what had yet to come. The Pier was buzzing, the atmosphere was electrifying. After check-in we went onboard to start what was the most treasured vacation we have ever had. The ship was beautiful, the music was spectacular and the food and service was incredible. We felt like we were getting the royal treatment. Thank you Gertrude for setting up the most incredible trip of a lifetime for us! We have friends who will be contacting you as they want to be included in your next cruise. We so enjoyed the All Star Irish Charter cruise in the Caribbean. As a former travel agent myself, I am, I suppose, the most critical sort of audience, but I was simply knocked over by the whole experience: we loved the wonderful entertainment program offered, the delightful guests. Some of which are now my friends on Facebook – how cool is that! A huge thank you for your meticulous attention to detail that was obvious every step of the way. You certainly thought a lot of our comfort and needs from embarkation to disembarkation. Well done indeed. There is no doubt but Gertrude Byrne has a niche almost to herself in the Irish cruise market. We were a party of six who have previously sailed on many theme cruises. We have never experienced anything like this past cruise. We were welcomed onboard by none other than Gertrude Byrne herself. The pier was alive with the sound of music and decorated with our fine Irish colors. There was incredible atmosphere in the terminal. Guests who were complete strangers were friendly with each other. It was truly delightful. We were thinking that this was great but if I were to describe the magic from once we went onboard it would take a book. We checked into our staterooms and after the lifeboat drill we went on deck for the sail away. All I can say is that we had chills with excitement. There were flags flying everywhere and arches of balloons just flowing in the air. The band was playing, the guests were singing and everyone was having the time of their lives. Each day that followed was richer than the last. We were pampered from sunup to sundown. The entertainment is indescribable. Each evening in the theater we were treated to a show like we never experience in our lifetime….just fantastic. From the show we went dancing and even on several nights we ended up in the Piano bar until the wee hours of the morning. All we can say is that Gertrude Byrne you have spoiled us for any other cruise and cannot wait to join you on your next one. Thank you for an awesome cruise. We enjoyed every minute of it. One can only imagine the work that goes into making it such a success. Everything was perfect for us. We had a great table at dinner and had lots of fun with our newfound friends. The food and service was first class. We enjoyed the entertainment and had never experienced anything like this in our entire lives. It was a memorable experience that we will never forget. Thank you again and again. Hello Gertie , what a fantastic week on the high seas, thanks for keeping the tradition alive and for all you do for people. Can we just forward to you, to say, “Thank You”, so very very much, for the most wonderful holiday that we have ever taken! !, just WOW, we are never able to say Thank You enough, as it was a “Breath Taking Experience”, what a shame it had to actually end? Now we are home, safely, in the UK, we can recount our such wonderful memories, how we were constantly spoilt onboard the “Westerdam” by the marvelous members of her Crew, the 1st class accommodations, and the delicious food! And then to attend the most wonderful concerts led by “himself”, Daniel, with “All” the most attributed Top Stars, giving “US” awesome entertainment! !, and 7 days a week.!! Dear Gertrude, “Thank You” so very much, we are indebted to “YOU”, forever!!. For years, my friends have been telling me what a great cruise you run. They have tried to get us to go for several years. We had been on a few cruises and although we enjoyed them, we were not keen to cruise again. Through their persistence we decided to book your cruise. Oh my goodness, we had no idea what we were missing out on. It was fabulous and I have to say it was the best time we ever had. The weather was beautiful as were the ports of call. Mahogany Bay is a jewel and a place that we hope you will include your itineraries. The entertainment was fantastic and there was such a variety of song. Each night was star studded and we sat in sheer delight. I still talk about the Finale on the last evening. It brings such joy to our hearts. We have signed up again for next year and our friend’s keeps saying “I told you so”. Thanks to them and to you Gertrude Byrne for this wonderful trip. We loved the Cruise and will have a larger group for our Cruise next February. We all felt so proud to be Irish with such a lovely atmosphere and unbelievable entertainment throughout the Cruise. Well done to you and to your team. This was not out first cruise, but it certainly will be the only one we would ever think of returning to again. My whole family (18 of us ranging from 23-65) met up in Ft. Lauderdale from three different countries to board the Gertrude Byrne Promotions All Star Irish charter cruise. This was our first experience where the entire ship was all of Irish decent. We had an amazing week, without a moment of boredom or stress. Everything was perfect. We are mind boggled with the sailaway party. Everyone on board waving their flags and the Irish band playing all the favorite Irish songs as we sailed away from Ft. Lauderdale. Well folk it just got better! We had an incredible week. Upon speaking with other guests, we asked “is it always like this”. They answered “yes” and this is why it is our 20th cruise with Gertrude Byrne. We will be back and that goes for all of us. Thank you Gertrude Byrne! We have returned from the Gertrude Byrne cruise with our friends and we had the time of our lives. I want to thank you for putting together such a fantastic cruise. The ship was beautiful and the islands were great. Have to say that this was by far the best cruise that we have ever experienced. Count in again for 2015. So, how does one sum up this party of parties. We were recently on the Gertrude Byrne All Star Irish Charter cruise and it is an incomparable experience, words seem to be so inadequate. One would have to been there to feel and absorb all of the splendor. Still I hope that this take on it will inspire you to look into adding a future Gertrude Byrne cruise to your list of things to do. From them moment we stepped onto the pier the atmosphere was electric. It was obvious there were a lot of repeat guests as there were hugs and kisses galore. It was seven days of paradise. The weather was beautiful as were the islands we visited. All in all this is the vacation of a lifetime! A message of since thanks for a wonderful holiday cruise and for time the spent in ensuring our group had a memorable time. It is a credit to you and your organizational skills. We can only lengths you go to make sure that are you guests are satisfied. We just had such a good time and hated it to end. From our accommodations, gourmet meals, the afternoon teas, the concerts and superstar entertainment we are just enthralled. My goodness if all of our holidaymakers were aware of this type of holiday you would be sailing with ten ships a year. Count us in on all of your future cruises. We just returned from the Gertrude Byrne cruise and what a week we had. Seven days of sunshine, fun, great food and outstanding entertainment. There were so many incredible moments on this week-long journey of musical bliss that I would never be able to capture all of it on paper. From stellar performance by an array of artists who held you spellbound at each show. We danced the night away in the Crow’s Nest and then onto the Piano Bar. There was talent everywhere. I think the most touching and heartfelt moment of the cruise was the last night of the sailing, The “Grande Finale” and that it was. Every artist on the ship was featured in music and song. A night and a week to remember! I just want to let you know how much Marion and I enjoyed our cruise with you. Everyone was pleasant and accommodating. The staff were polite, respectful, obliging, full of fun and energy. We, of course, loved the music and the friendliness of the other guests onboard. We are spreading the word about your cruise to our club and are looking forward to returning next year with our friends. Our family of 4 (2 adults, 2 children ages 7 and 12) just returned from the Gertrude Byrne Irish cruise and were delighted with our vacation. The children loved being onboard and Club Hal had lots of activities for them to join in and meet other children onboard. We have typically avoided cruising with the children for fear of them feeling confined. As this was our parents special wedding anniversary we elected to join them for the celebrations. It turned out to be the best vacation ever. The children had a ball. They swam, had lots of fun and got to eat in the kids dining room most evenings. The adults dressed up in their finest and enjoyed fine dining in the 5-star restaurant, followed by evenings of superb entertainment. Babysitters were available and we were delighted that everything was under one roof. Our 4 children enjoyed themselves tremendously, and mom & dad had lots of fun too! There was something for us all to enjoy, and enough activities to keep us non-stop busy. We are fourth generation Irish and this is honestly the first time that we experienced such great entertainment. We must have bought every entertainers DVD. We now have a lot of Irish music in our home, thanks to Gertrude Byrne and her fantastic cruise. We just experienced the greatest party at sea on the Gertrude Byrne All Star Irish cruise. The cruise was class from start to finish. The passengers were great fun loving people and the best of company to be around. The entertainers were great and the shows top notch as well as all of the dancing venues both inside and on deck. The food was exquisitely prepared, the service sublime with the wait staff ensuring your every desire is realized. Anyone out there who has not done a Gertrude Byrne cruise you have to experience it firsthand. We did and can’t wait to come back. My husband and I recently returned from the Gertrude Byrne cruise. I had always wanted to cruise but thought the holiday would be spoilt by seasickness. I am delighted to say from the moment I stepped onboard I was absolutely fine. Our balcony stateroom on the 7th deck was superb, bed was extremely comfortable and the balcony just made it for me. Having said all of that now comes the music….wow I never experienced anything like it in my life. Usually around St. Patrick’s Day when the entertainers are out from Ireland we try and get as many shows as possible. Well this was like a hundred St. Patrick’s days put together. These young men and women were so talented and delivered superb shows and not only that they were up in the morning and sang at mass. It was truly the cruise of a lifetime and we plan on returning for as long as we can…..nothing could compare to our fantastic experience. Best vacation ever! We had never been on a cruise before and did not know what to expect. Everything was AWESOME. We couldn’t have asked for more. The entertainers were spectacular and mingled amongst the passengers. Every show was amazing and with such variety. There was something for everyone. I have more stories to share from my experience and talking with other passengers but not enough space to do it in and most would think me long winded. So sum it up, get on the next Gertrude Byrne cruise and you will not regret it. She is a lady who gives it 500% and indeed the cruise speaks for itself. Arrived home after a very adventurous journey from Ft. Lauderdale to Edinburgh. Had a fantastic holiday, good company and may laughs on the Gertrude Byrne cruise with the Irish stars. The cruise was definitely one of the best and a privilege to have the company of Charley Pride. Enjoyed Jamaica so much we had such a laugh. We climbed Dunn’s Fall’s all 950 ft. What a workout! Swam with the dolphins!! In Mexico we went down in a submarine, great adventure! Parties in the piano bar every night to the early hours of the morning with Michael English on the grand piano…the craic was good. Fantastic shows in the theatre each evening. I could go on and on…it was brilliant from start to finish. Well done Gertrude Byrne on another fantastic cruise. A real honor to be part of such a great line-up of entertainers. Another great cruise, thank you for everything, the entertainment, the food, craic and all the beautiful places that we stopped at on the way, can’t wait for next year. Thank you so much for the great cruise. We enjoyed the ship, food, entertainers and the people we talked with. Looking forward to the next one! Just a short note to thank you for another memorable cruise. The entertainment was spectacular and we particularly enjoyed the singing priests. Our stateroom was great and thank you so much for catering to our request for a table for two. The cruise takes place around our anniversary and the table could not have been nicer. Thank you so much for exceeding our expectations and arranging an incredible week! The first week of February my husband and I set sail on Holland America's Westerdam for the Gertrude Byrne’s music cruise to the Western Caribbean out of Ft. Lauderdale. There were about 2000 party-going passengers onboard along with Ireland’s best entertainers. We had a ball! There was nothing to complain about even if one tried. From the first day's sail away party we were welcomed aboard in style. There was laughter everywhere and one could only be in a joyous mood. The onboard amenities were superior and music would just light up your life. Truly from start to finish we had the time of our lives. Too good to ever miss again! Well worth the money. Let me start by saying that I have sailed the seven seas on over 30 cruises and not one of them could even come close to the Gertrude Byrne All Star Irish Charter cruise. We literally did not want to get off the ship. We were met with a hand shake from the lady herself upon embarkation. That in itself was an experience. Well from the handshake to the sailaway every moment was of the cruise was incredible. Just can’t describe it. The entertainment was so superior to anything we have ever encountered. The ship was beautiful and the food was great. We have to thank everyone who had a part in making our cruise so special. I have met a lot of people in my travels but have none so friendly as was on this cruise. On a scale of 1 to 10 it was 10+++++++++. An Experience that we will never forget! This is our fifth Irish cruise and the first with Holland America and Gertrude Byrne, there is no comparison to the way that the Gertrude Byrne presents this product. From the time you arrive on the ship to your last moments before heading home Gertrude makes your experience one you will never forget. We were astounded with the quality of entertainment. There is just no way to describe the incredible talent onboard this cruise. The food and services was amazing waited upon by a crew who did an excellent job. The entire experience is one for the books and we are signed on for Gertrude’s next cruise February 7-14, 2015. Had a week to reflect on another Gertrude Byrne cruise. We spent three days in Ft. Lauderdale before joining the cruise on the Westerdam to the Caribbean with a vast array of Irish/America artists, with the great Charley Pride top the bill. It was enjoyed by 2000 passengers and staff. Not a failure among them. Great times on the Gertrude Byrne All Star cruise. Our first time and it was magical. What a line-up of entertainers. We were a party of six and want anyone to know out there if they are looking for a cruise that one could only dream off, book on a Gertrude Byrne cruise. She is on top of her game from start to finish. There was nothing lacking. We cannot wait for next February to roll around. If you cannot afford to take this cruise, you might want to consider stowing away, the punishment would be it would be worth it. Great great cruise vacation holiday. I have to say that you run a tremendous operation. It is very obvious that you are dedicated to your customers. The cruise is truly amazing and we know that it is this way because of the effort you put into making it special for everyone. The music, food, facilities, activities, cleanliness and your dedication to customer service are exemplary. We met a lot of very nice people. Everyone made us feel like family from the time we arrived. It was our wedding anniversary and what a special way to celebrate it. Thank you. We just returned from the 2014 cruise to the western Caribbean it was amazing Gertie does an incredible job a cruise of a lifetime. My cousin and my sister -in-law went for the first time and could not stop talking about it. The details, the entertainment just above and beyond expectations. I just don't know how she does it year after year. Anyone thinking about taking the cruise, go for it, you will not be disappointed. Congratulations to you and your staff on anther perfect Irish tour! "The devil is in the details" and you certainly had perfection in working out the details! Already Dolores and I are looking forward to next February! Home safe and sound after another brilliant cruise. A big thank you to Gertrude Byrne for everything. It was great to be part of such a special week. Thank you so much for the wonderful cruise. Everything was perfect from the moment we left home until we returned. The ship was fantastic and we loved our room with the beautiful veranda. The food and the entertainment were excellent. Our reunion with the girls was wonderful and we hope we will do it again. We even met people from home that we had not met in years. Gertie, you are an incredible lady to handle a ship like the Westerdam. You're a genius and your praises could be heard throughout the ship. Again, thanks for everything and may God bless you,John and family. We just came of the most beautiful holiday that we have ever experience. It was wonderful from start to finish. We are amazed with your attention to detail. We have never experienced such fabulous shows. The entertainers were first class and such a variety of style and song. Eating in the beautiful restaurant each evening and served the most delicious meals was a sheer delight. Gertrude you are an amazing person to be able to put all of this together. We spoke with a lot of your guests, some who had been on your previous cruises and some who like ourselves were first timers. Either way we had the same thing to say and that was just brilliant. Looking forward to joining you again next February. Thank you for a wonderful dream holiday. You had a lot of organising to make this cruise the success it was. We have lots of pictrues and snippets on dvd giving us special memories to share with friends. All the musicians and singers gave a special treat in their own special way. We felt two of a very happy family all the time we were on that boat. We felt highly honoured when you gave us an invitation to come back next year and we cannot wait for this to happen 2013.You will have a job filling these shoes of the Irish talent. Thank you for the memories of my special birthday. The 25th Anniversary Cruise needed to be something special...and it certainly was. An amazing array of musical talent combined with some spectacular Caribbean ports of call made this voyage an unforgettable 5-star experience. The organisation was faultless,there was an intimate friendly atmosphere on board,new friends were made and many golden memories were stored for all time. Long may you continue Gertrude Byrne...pleasing travellers with similar musical tastes from both sides of the Atlantic. For us, this was our very first cruise and I never read “testimonials” until after an event as I don’t want to be prejudiced, if I have decided to do something then it’s my decision, my fault! I had nothing to fear – after the first day getting used to the ‘sway’, it was smooth sailing all the way and in every sense of the word. Great ship, great cast, food, staff, organisation, praise could not be high enough, everything was wonderful and well above expectations. It was great to see the well-known stars that never let you down but equally rewarding was the vast number of acts new to us that have become new favourites. Pity we didn’t hear of Gertrude Byrne earlier as we could have joined you on your Mediterranean trips – PLEASE let us know when you’re coming over here again….and bring Holland America with you; a company you can rely upon. Gertie Byrne, her fantastic array of stars and Holland America – what a combination. Out of this world….WOW. Dear Gertrude. This was our first cruise with you and it was better than we could have imagined. Everything about it was wonderful. Especially seeing Daniel O'Donnell perform so many times and to have my photo taken with him was a dream come true. I am telling all my friends about it and would appreciate receiving any information about your future trips. You were so very gracious and beautiful. So nice of you to greet everyone and then to stand there as we left the ship. My wife and I have just come back from your all Irish cruise. I must thank you for all your efforts in putting on such a dazzling none stop cruise. I wish we had more time to get round and see all the acts but there was so much going of that it was imposible. I have put my aplication in for next year so with luck I will catch up with you then,once again thank you. We want to thank you for the wonderful cruise. It was our 7th with you and it was the best. So be ready for a full ship in 2013. Thanks again. We would like to take this opportunity to thank you most sincerely for the wonderful experience we had on our first ever Cruise (which was also for our 25th Wedding Anniversary). It was absolutely fantastic from start to finish. Since coming home we have recommended it to so many people. From the accommodation to the mouthwatering food, the atmosphere, not to mention the brilliant "Irish showbands and entertainers". It was like something you could only dream about. Not to mention our stateroom attendants 'Raymond & Raz'. They were so kind, helpful, friendly and professional about their work. They are a credit to Holland America Line. We would also like to compliment the waiter who served us each night at dinner as well as the drinks waiter Teo. They were excellent at their job and even spoke some 'gaeilge'. We just loved all the islands also. We will definitely be booking another Cruise with your goodself P.G. Again, thanks for the chance to explore another part of the world in the company of such great artists. It was a pleasure meeting you and all the staff of Holland America! Happy St. Patrick's Day! The cruise was wonderful and beyond my expectations. Thank you for letting me know when the availability of the larger cabin. My friend Rosslyn and I really appreciated the bit of extra space. You arranged everything to a very standard and we both appreciated all your effort. Take good care. You are a very special lady. I just wanted to compliment you on a very successful cruise and one that I will never forget. It was just one of the best things I have ever done and I will be talking about it for some time to come. I also wanted to tell you that all of the people that served us were just the best. They always had a smile for us and a very friendly "hello". The entertainment was just great. I don't believe I have ever met so many nice and friendly people in one place in all my life. The people from Ireland were just great. They never forgot you once they met you and I believe I met them all. Maybe not all, but a lot. And as for Daniel, he, of course was tops. I will never forget the great times we had up at the "Crow's Nest" and all the great performers. Our room was just great also. The food was really good and tasty and I just could not think of anything that was not pleasurable. Anyway, I really appreciate the way you handled everything and when we are ready for another cruise, I will be calling you. Thanks again for everything you did and I know it was a big job. Thank You Gertrude for another wonderful cruise. This was our 7th and we would not consider any other cruise. From the check in at the Terminal to the last night everything was fantastic. We are booked for next year. Thank You you do a great job. We will continue to tell people in Vancouver how good it is. Gertrude “Gertie” Byrne organized her first Irish-themed cruise 25 years ago, and she signed up 80 guests. From that humble beginning, Byrne has gone on to promote Irish music and culture at a number of yearly festivals and events. And yes, she still organizes cruises: an annual charter aboard a Holland America Vista-class ship. Non-stop craic on the Gertrude Byrne All Star Irish cruise. I perform on 30 cruises a year all over the world and none can compare! We are so trilled to be doing another one of your Irish Cruises. This will be our third Irish cruise with you and we have met so many friends since cruising with you and have so many fond memories. We just did another cruise in January with another promoter and we have to say it could never compare to your cruise. You are second to none for sure. We keep telling our many friends, if you want to cruise, you have to cruise with Gertrude Byrne. The party begins as soon as you arrive at the check in terminal. Also, you make all your guests feel so welcome when you greet them as they board the ship and as they depart. Thanks for all you have done for us and we look forward to sailing with you on your Eastern Caribbean Cruise in February 2012. A great many thanks to you and your husband, along with Tony Jackson and all of your staff for sharing with us the many, many enjoyable days, evenings and nights on two Caribbean, one Mediterranian with the second coming up in September 2009 and now this cruise to Bermuda in May 2010. Thank God that we have lived long enough, all of us, to have been part of and been able to share with one another, all those wonderfull exploits, the entertainment, the shows both classical and country and Irish, the wonderfull dancing, the comical scenes, the comradery, the gentleness that has been afforded to us has only been wonderfull, and we sincerely thank you and all those that have to be associated with the enormity of the overall exercise that ye put on for our benefit. Again Gertrude, so many thanks for all you have done for us in the past, we do intend to keep going as long as we are able to and maybe LE CUNAIM DE we may share lots of outings together yet. Absolutely outstanding! This is our fifth Irish cruise with Gertrude Byrne Promotions and once again you have outdone yourself. We are in awe of your accomplishments You have 2000 guests on your cruise from all walks of life, all ages and all different personalities and yet you achieve the unbelievable accomplishment in that you provide a vacation enjoyed by all. Kudoes to you and continued success. Everything about the Gertrude Byrne All Star Irish Cruise Mediterranean 2009 was superb. The MS Oosterdam of Holland America line could not be faulted, the service, the accommodation, the food was all exceptional. We were attracted by the Irish bands and could not believe so many top bands would be performing in one place. This was our first cruise with you as for many years I was apprehensive about the seas. What a surprise it was as you described it “a floating palace” and I felt like the queen. Congratulations we look forward to the next one. Thanks for a great week! Could never imagine having such an incredible vacation. The entertainment was of ths world, something to suit everyone. I will never forget the finale, it was quite emotional regardless of your nationality. The ship was exquisite and the food was exceptional. You are one great lady....congratulations you sure deliver what you offer. You've outdone yourself again! Thank you for yet another marvelous and memorable trip! Breathtaking Mediterranean ports of call during the day and a stunning variety of first-class entertainment at night made this an exceptional excursion. What made the week so special is that so many family members and friends made the trip! I met a man, John Walsh, on the cruise who I had not seen in forty years! We played football together as kids in West Clare. He teased me all week that I would have never made the team except that my father was the coach! It was so wonderful to enjoy this glorious trip with family and catch up with so many old friends. As always, I look forward the next adventure you have planned for us in February! Thank you so much for including me in on all the fun! Dear Gertie, I stayed a few days in Barcelona and met many of the Irish guests who did the same and they all enthused about the best trip they ever had , on the plane home non cruise guests were being told of the wonderful Gertie Byrne cruise and advising them that they should not miss the next cruise as no other cruise compared with the one we all had. I thank you for the most wonderful experience and the chance to share with the best of Irish entertainers a week of pure bliss. Tony Jackson was a joy to work with and backstage all the performers enjoyed each others contributions and there wasn't an inflated ego in sight, we all got on so well. Going round the ship talking with people from New York, Boston and all over the USA was a joy , listening to their stories of leaving Ireland in bygone days and how their lives have changed was just so rewarding and pleasant. I made more new friends and felt so at home on my first "Gertie" cruise. I could feel the warmth of the people so I knew I was going to have a superb week. The All Irish Caribbean Cruise we were on was about the best cruise we have been on and we are known as cruisers. With all of the Irish entertainers direct from the old sod and a lot of the people from there also it felt like we were back in Ireland again and we have been there 18 times. You cannot see all of the entertainment we saw on the cruise even if we were in Ireland. We have mentioned it to others who have goine with us and they all love it also. It is so good we have three other couples going with us on the next Gertrude Byrne All Irish Cruise. I have always enjoyed your Caribbean cruise but this last one to the Med was in my mind the best ever ! !, The locations that we stopped were unbelievable,I had to pinch myself to believe I visited the tomb of Princess Grace ,and the wonderful city of Marseilles,I took a booklet home and on the strength of it my son has decided to get married there. It was lovely to see so many of the young and up coming artistes as well as the better known ones, you were able to introduce them to such a large and new audience, it was very obvious by the dance floors and auditoriums that all guests were having a fantastic time,food and accomodation were second to none,I have to admit that my very favourite time was in the Piano Bar every evening with Michael English and seeing the other singers really letting their hair down and singing in the intimate atmosphere,also the other bonus was meeting with old friends that I had made on previous cruises of yours. I also loved the idea of the MEET AND GREET morning, a good chance to purchase merchandise and chat to the singers.Cant wait for the next Med Cruise. I cannot overstate the beautiful time we had on your Mediterranean cruise. Arriving at the pier in Barcelona we could hear the Irish music. Entering the terminal you greeted us and immediately made us feel welcome. Before we could even check-in we were offered champagne. On the way up to our cabin my husband remarked “what class” our expectations were already above and beyond. Seven days of bliss followed is an understatement. Our mornings started with Mass followed by visiting some of the most magnificent sights in the world, every kind of food was available to us. As we entered the five-star restaurant each evening to dine by candlelight and elegance we truly felt like royalty. After our beautiful meal we went to the theatre to again experience a different all star concert nightly. What we cannot understand is how you Gertrude Byrne could put such an incredible holiday together for 2000 guests. Now we know why a “Gertrude Byrne Promotions Irish Cruise Cannot be Compared” Our hats are off to you! Our first time experience cruising with Gertrude Byrne has far exceeded our expectations. We holiday a couple of times a year to destinations all over the world. Never have we encountered anyone with such so commitment to customer service. We are so spoilt that we cannot every imagine sailing with anyone other than Gertrude. Kudos to all involved...what wonderful memories! Thank You So Much For The Trip Of A Lifetime. Well, its all over and we are finally back to normal as I am sure you are after another very successful cruise. We wanted to thank you for attending to all of our requests and for making the whole experience just perfect. We really had an awesome time and it was so much more than we could have expected. Your attention to our ceremony, dinner, music, bands, etc all made for a truly memorable and intimate wedding which was the whole point of doing it on the cruise. A cruise with Gertrude Byrnes is the most fun, most fabulous cruise ever. We had a good time morning til night - late night, that is. The talent on her cruise could not be surpassed and we cannot wait to go again. The craic started when we were in line to get on the ship and didn't stop until we returned. From Brendan Shine on down to the cruise passenger who sang "Dublin in the Rare Old Times, we could not get enough. Here is a toast to Gertrude and Happy Thanksgiving! Thank you for the truly wonderful cruise. This has been our seventh year cruising the Caribbean and now the Mediterranean with Gertrude Byrne Promotions and each time it gets even better. We often wonder how your company can improve on excellence but you come up trumps every time. Continued success. As this was my first cruise I didn't know quite what to expect. What transpired was a most memorable and enjoyable experience. Everything was so well organised and the food, the service and the accommodation were all first class. The facilities, the entertainment and the fellow passengers all created a relaxed and happy atmosphere and the whole experience was one I would certainly recommend to anyone. Add to this the delightful ports of call and you have a holiday to savour. GERTY JUST A BIG THANKS FOR HAVING US ON THE CRUISE LOVED EVERY MOMENT AND SO DID EVERY ONE ELSE IT WAS GREAT! My husband and I have travel led on four of your wonderful All Star Irish Cruises. To actually try and describe it would be impossible. We are totally in awe of how you can get everything from and incredible entertainment line-up, food etc and put it all together single handed. There is absolutely nothing we could find fault with. You are available on a one to one for almost 2000 passengers no matter what the query your there to answer it. We highly recommend a Gertrude Byrne Promotions cruise and you will not be disappointed. My husband and I joined your recent cruise to the Mediterranean. Not being a great fan of water I was a bit apprehensive. My family convenced me to go and am I happy I for that now. It will be one of the most memorable times in my life. From fantastic entertainers, beautiful accommodations, unbelievable atmostphere to fine dining, meeting great people on board - we will be back. Keep up the good work. As usual we all had a fantastic time on the Med Cruise this past September. You run a great cruise whether it be the Med or the Carribean - hope to see you soon. There are cruises, and there are Irish Cruises. . We have been on 4 Irish Cruises with Gertrude Byrne. People often ask what cities we visit and we say" who cares,as there is so much fun on the boat it really doesn't matter." Gertrude is first class and her cruises follow suit. The cruise was wonderful and we had a great time. It was like a dream. Your attention to detail is just one element of what makes the adventure so special. Your service and attention to customer care and satisfaction is beyond compare. You left nothing undone! Thanks for everything. We look forward to another cruise in the near future. Thank you so much for the wonderful family cruise. Everyone enjoyed themselves. The food was awesome. Everything was great. The staff provided wonderful hospitality. It's truly amazing the amount of Irish Artists to entertain us. They were all brillant and very friendly. This was our first time to go on a cruise out of the US. Everything went so smoothly. We are very happy with our holiday. Definitely VALUE FOR MONEY! We are will be back. As a Mayo women I am really proud of you. We had the experience of a lifetime on your Mediterranean cruise. The energy amongst the passengers on the ship was magic. Everyone was so friendly and happy. As many of your guests remarked where in the world would you get a holiday such as we had! Thank you for making all this available to us. We wish you continued success in your endeavors. You have God giving talents to be able to organize such a holiday. Truly remarkable we will never forget it. We Want To Sincerely Thank You For A Wonderful Cruise. It Far Exceeded All Our Expectations And Will Be In Our Memory For A very Long Time. A message of since thanks for a wonderful cruise and for time the spent in ensuring our group had a memorable holiday. It is a credit to you and your organizational skills. One can only imagine the time and effort that must go into the preparations. From our accommodations, gourmet meals, the afternoon teas, the concerts and superstar entertainment we are just enthralled. My goodness if all of our holidaymakers were aware of this type of holiday you would be sailing with ten ships a year. Count us in on all of your future cruises. Dear Gertrude, You deserve the best in testimonials. I am not sure how many years I have sailed with you, 6 or 7, but it is one of the greatest experiences on the high seas. First of all there is no better way to celebrate one's Irish heritage than with a cruise of Irish friends enjoying the best in Irish music and entertainment.It is not like any other cruise, very little time for resting and reading, because there is so much to do and see with all the musicians. Everyone becomes your friend. The finale gives me goosebumps as I give thanks for the blessing of being both Irish and American. It is an evening of awe and admiration for what you have accomplished with this spectacular cruise. I deeply regret that I am not able to attend in February but, God willing, I will join you in 2009. You have achieved the best and deserve the best in recognition. Good luck. I am one of the many guests who had such an incredible time on the cruise. I want to say a sincere thank you for an incredible holiday. We have been throughout the world but never experience a holiday such as this on the ms Oosterdam. It was five star ++ from start to finish. We have not stopped talking about our trip since we got back home and cannot wait for the next All Star Irish Cruise. You are one great lady! Thanks for a great week! We just had an incredible cruise. The entertainment was of this world, I will never forget the finale, it was very emotional and I don’t think you could ever see a show such as this anywhere else in the world…..what an accomplishment. The ship was beautiful and the food and service was incredible. You have spoilt us as there will never be any other holiday that can compare. We had an exceptional time on the Mediterranean cruise. It was our first one and it was just great from beginning to end. The food was fantastic and the service was great from beginning to end. The ports of call were unbelievable. To wake up in wonderful sunny locations each day was unbelievable. Everyone onboard ship were wonderful and we made some great new friends. You know how to run a cruise Gertrude may good luck health, happiness be with you always. We are back and thanks would be too simplistic! . This was the BEST cruise Tom and I have ever experienced! We just wanted to thank you for all the courtesies extended to our family. You helped make it wonderful. I am telling all! We are planning to do this again next year. Arriving back in Chicago after your All Irish Mediterranean Cruise now seems like a dream. It was the best cruise we have been on and we are known as cruisers. We have been visiting Ireland for the last 20 years and went to many shows which we enjoyed. However it was great to be able to see so many of Ireland’s greatest entertainers in one week. We were a party of eight people who holiday and cruise together each year. We have now made a pact that we will not cruise again unless it is on a Gertrude Byrne cruise. From all of us, we congratulate you on bringing a bit of Ireland to us in the Mediterranean and for the wonderful time we all had. Congratulations for such brilliant organization. I don't think I've ever seen anything so well run considering the large number of people involved and everything seemed to run so smoothly. I just wanted to say thank you, it was the holiday of a lifetime and we both enjoyed it enormously. It's hard to come down to earth again after such luxury. Wow! What a 1st Gertrude Byrne Promotions cruise experience. It was absolutely wonderful. Thank you for all the planning and hard work you did on behalf of our entire group. We had heard for some time what a great cruise you promote, however it took some time to get all of our gang together. There were forty-two in our party. Each and everyone one of us had the best vacation ever. Having been on many Irish theme cruises without a doubt none could ever compare to your cruise. You made our family reunion one that will never be forgotten and we are all in favor of doing it again next year. See you soon and we will be honored to recommend your cruise to our friends. We are widely travelled and this was out first Gertrude Byrne cruise. We decided to try it first hand and experience what our friends had been constantly raving about. Our cruise is over and we're back, all we can say - it's indescribable! Everything was so very well organized, from spectacular superstar shows night after night to the best in Irish music on every lounge on the ship. Gourmet dining, great ports of call, beautiful weather and our ship on one of the most elegant on the high seas. The excitement throughout was electrifying. Beautiful people! what camaraderie we will never forget it. My hat off to you Gertrude Byrne for a job well done! We will be back and now we are the folk raving about it. Dear Gertie, September 2009 will always be special for us, our first cruise and what a memory you have given to us ! We have had many enjoyable “land” holidays and we really didn’t know what to expect on the sea but from the time we arrived at the terminal for check-in, the party had begun, music, singing and dancing and that was before we even boarded the Oosterdam ! Your attention to detail was just amazing, the personal welcome to everyone boarding, the variety of wonderful Irish entertainment, the great choice in ports of call and your constant presence onboard making sure that everything was running smoothly, where does this energy come from ? The top quality food and our beautiful accommodation far exceeded our expectations. We loved the great atmosphere onboard too, everybody was relaxed and content and always ready for a friendly chat over breakfast or lunch, we felt that we were part of one big happy family ! The non-stop entertainment was superb, from the formal shows after dinner to late nights in the “Crows Nest” and the early mornings in the Piano Bar we must have sang and danced more in that 7 days than we did in the past few years – wonderful ! The staff onboard the Oosterdam were excellent, nothing was too much trouble and it was always service with a big smile and sometimes even a song ! Holidays like this don’t just happen and we can only begin to imagine the amount of work you must have put into making this such a success. Thank you for giving us such a wonderful introduction to cruising, we enjoyed every minute of it and we are highly recommending a Gertie Byrne Cruise to everyone. My 1st # Irish Weekend was wonderful Gertrude. I had a super time and danced non stop allweekend. See you in 2008.Daniela-Rose GauvinOttawa, CanadaHi GertieWe want to thank you and your staff for a job well done at the Fallsview Irish Weekend. Everyone in our group had a wonderful time dancing sets on a great floor! See you next spring. Absolutely outstanding! The seating arrangements for dinner were perfect -- the Glin's (?) and the two women from Philadelphia. The suite will be a must on all future cruises. Ports-of-call were all worthwile. Kudoes to you and your helpers! We just wanted to say thank you for organising such a fantastic cruise. I just came off a wonderful Irish Cruise on the Mediterranean promoted by Gertrude Byrne Promotions and loved every minute of it. If you have never been on one its definitely something you should all think about. A fantastic time! Just got back from the Fallsview Irish Weekend,and it was terrific.You do run a fine show be it on land or sea. Keep up the great work,and good health and luck to you. I just got back from the 2007 Mediterranean Cruise. And what can I say “WOW” as always Gertrude out did herself... .a wonderful job, a first class cruise, run by a classy lady. There was an abundance of entertainment on board in fact I heard people say there was so much good entertainment they didn’t know where to go first. And everyday was a new adventure, to wake up in the morning and see Monte Carlo, St. Tropez, Marseille etc, from your cabin window was just breathtaking. It was truly a wonderful experience and I would recommend it to anyone. We have been on many of Gertrude Byrnes' Irish cruises to the Carribean, but we recently returned from Gertrude Byrnes' "Irish Mediterranean Cruise". The scenic harbor of St. Tropez. the awe-inspiring ruins of Pompei and the grandeur of Monte Carlo were just a few of our magnificent ports of call. The fabulous Irish stars and the music that continued well into the early morning were just incredible. We had a great time. We can hardly wait for Gertrude's next "All Star Irish Cruise". I would like to take this opportunity to say how much we enjoyed the Med cruise, it was just fantastic and look forward to the next one. Just a short email to say thanks for a fantastic week. It was a real honour to be part of it all. I hope you were happy with everything after all the hard work you put in. My family said it was the best week of their lives and i'm sure every last person on the ship felt the same. So thanks again Gertie and hopefully we can do something again in the future. all Pompeii!! And of course the Vatican, St Peter's and the museum. Thank you for making all this available. Having so many family members along was the icing on the cake. And of course those were the daytime hours. The entertainment was superb. My daughter took in all - day and night. Again, thank you, and continued success in your endeavors. As a County Mayo person I am truly proud of you! On behalf of all of our Chicago group ( Tom and Joan Maloney, Bill and Lynn Harvey, Eileen Shannon, Jeannette Capra, Mona Rocks, Marge Garvey, Mary Lee and yours truly, Mary Scannell), congratulations and thank you for the outstanding cruise. The ship and the service was terrific, the ports and excursions were wonderful and the entertainment was truly outstanding. Having Mass and the priests on board was such a blessing and I'm sure God's protection was on the trip for that reason. Seeing the priests do the set dance at the last Mass was worth the price of the trip. Thanks to you and your team for all you did to make the trip memorable Keep up the great work. We had a truly wonderful weekend and are recommending this to our friends. We had never cruised prior to our first sailing with Gertrude Byrne Promotions and were hesitant in case we didn’t like the “Life at Sea” but the daily activity, music, entertainment, ships staff, accommodations and ports of call were simply fantastic. We have now sailed with Gertrude Byrne six times and are getting ready for number seven in Feb 2008. I don’t think we would enjoy another cruise, having been spoiled so much. We have turned two other couples onto your cruises and never a complaint from anyone. The Meet & Greet prior to embarkation is a nice touch as is the Farewell when we leave. Seeing many familiar faces each year is another testimony to your operation. See you in February. Thank you so much for giving me the opportunity to take my mother-in-law (aka Mrs. Moriarty) on the wonderful Mediterranean cruise. After she settled in at home in Tipperary, she told me that it was the "best trip" of her entire life. I was delighted to have done it for her and also I had a great time with the music and meeting many old acquaintances. Thank you for your genorisity showed us during our recent stay at the #1 Irish Weekend in the Fallsview Resort. The room was great as was the food and entertainment. You are to be commedned for your effort and hard work in bringing the Irish together. Everybody that we talked to had nothing but good things to say. Your greeting upon our arrival adds that touch of class. Good luck and God Bless you always. Everything about the Gertrude Byrne All Star Irish Cruise 2007 was superb. The MS Westerdam of Holland America line could not be faulted, the service, the accommodation, the food all exceptional. We were attracted by the Irish bands and could not believe so many top bands would be performing in one place - you could not fail to be pleased with the organisation of the entertainment - absolutely great. Not being a lover of sea travel and never having cruised before I was more than a little nervous but I need not have worried - a floating hotel where we woke up each morning in yet another exotic port. Congratulations Gertrude - we look forward to the next one.